Balance. It is the first word out of any nutritionists lips. The problem is for most people balance is at different points. A balanced diet for a bodybuilder will be different than that for a professional cyclist. 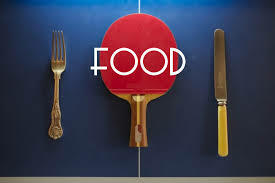 The key to a diet that is effective for table tennis is to work out where on the line the sport falls and what needs to be included in the diet to attain balance. Firstly, we need to decide what table tennis is relative to life and to other sports. Immediately, you know that you are playing a sport. Therefore, you are more active than someone of a sedentary lifestyle. It is not a power sport such as sprinting or weightlifting, likewise, it is not an endurance sport such as marathon running or triathlons. At the professional level, however, the sport probably falls closer to 'endurance' than 'explosive' but Ma Long will tell you that an awful lot of explosivity is required. The reason the definition is so vital is that it defines how much energy will be used and how quickly that energy will be expended. At the basic level, food replenishes this energy. However, food provides a few other benefits from bone growth, to muscle replenishment, to keeping the heart beating regularly (potassium is used in signalling heart contractions, for example). This post came about from a guy called Ramon Bannister who asked a number of questions during a post on the 'expert table tennis forum' I will endeavour to answer some of them in due course but they will all relate back to the 2 key points: performance and recovery. Lets first look at the most important tenant, balance. If we take food it can be broken down into two areas called macronutrients and micronutrients. Your macronutrients are further broken down into proteins, carbohydrates and fats. Your micronutrients are more like your vitamins and minerals. Our main focus will revolve around these macronutrients but I promise I will circle around to the micronutrients as the post goes on. fundamental building blocks of you. They are the thing used to build stuff within the body. They get broken down into amino acids which repair and grow structures within the body. Carbohydrates are the energy source (although every group can provide energy) and provide glucose to the body. It is glucose which powers the body and, more importantly, the brain. Finally, there are fats, they are often given a bad name but they are absolutely vital to us. Fats, of course, provide a slower source of energy to the body and keep us warm through our storage of them but we also use them for our hormones. Hormones are the signals that tell the body to do things, they tell us we are hungry or that we are cross or that we are in danger. Everything in the body is regulated by these and it is fat that provides the tools to make them. As each provide energy in different ways they are also given an amount in calories that they are worth. Calories are just a unit of measurement for energy shown by Kcal (Kilocalorie, don't worry too much about the cal or small calorie in this case). Fat is 9 calories of energy, protein is 4 and carbohydrates are also 4 calories of energy. Now this rough guide doesn't tell you how much energy they take to burn or how quickly that energy gets into your system but it does help you get a gauge. So the average man needs 2500 calories and the average woman needs 2000 to function. Remember these are the averages. If you are a large person or super active these will go up. For example, playing table tennis for an hour will roughly burn between 200 and 500 calories per hour. A two hour training session will therefore be between 400-1000 calories on top of your daily life. Now before we all start getting 3000 calorie diets remember a certain amount of activity is built into the 2500 calories for men or the 2000 for women. 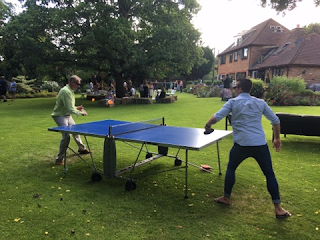 So if you are sat at a desk all day and then go and play some table tennis for a couple of hours it might not be necessary to go much beyond that guideline amount. Likewise, if you are a small person (I am!) you might want to adjust your guideline daily amount downwards. I am 5ft 7, 70kg and if I was sedentary my recommended calories would be 1971Kcal. If you click on this LINK you can also get a rough guide to your calorie intake. Please remember it will still be a rough guide and you will need to use your own common sense. Unfortunately I cannot write a blog for every body type and player, it's already long enough! The next point is how to compose a table tennis diet. This requires the macronutrients above, a bit of common sense and an understanding of what to put in your body. Now, the below diet is written for me and me alone, however, it gives you an idea of how to do something similar. My first thought is always how much I weigh: 70kg, how tall I am: 5"7 what my rough body fat percentage is: 12% and my activity levels: 7-8 (5-6 table tennis) training sessions per week in a sport that requires a lot of constant movement. It works out that I need around 2700Kcal. This needs generalising for a normal training day though. My thoughts are to make sure you eat when you feel you are able to. Don't worry about if you eat nothing in the morning and all of your food later in the day if that is how you need to eat, then eat that way. If you are having a day off training make sure you keep the diet pretty similar. There is no real rules for a diet except that you must make sure you get in your carbs: pasta, fruits, rice, noodles, couscous, white potato, sweet potato etc. you must also get in your vegetables. Vegetables can be easily overlooked when people are thinking about how they eat. However, they provide so many benefits in terms of keeping you general healthy but also providing the vitamins that are essential to our lives. For example vitamin B12 helps maintain our central nervous system and Pantothenic Acid (no need to remember that) helps us metabolise our food. Just think, the more vegetables you get then the more you will be able to concentrate and score at important winner at match point. Another thing to consider is snacking. Two reasons for this exist. Firstly, we all get a little peckish and snacks such as nuts and fruit can fill us up until the next main meal. Secondly, if we are nervous before a big session we might not feel like eating to our hearts content. We may just need a pick me up that gets us through the day/session and a little and often meal plan can help that. My diet above is as balanced as possible. Enough protein, enough carbohydrates and enough fat. In a sporting context we need all three to be operating at peak performance. We are not trying to be catwalk models or body builders, people at the extremes of the dietary spectrum we are table tennis players and we need to be able to move and play. All day long. I have not got a ton of experience at table tennis matches but my experience of training at the elite level in other sports will hopefully give you and idea of what to do on competition day. The short answer is don't change much. Unless you have a pre-match meal that is traditional or the timing of the event is a bit odd then you shouldn't need to adjust much. I would say always have enough to drink. With table tennis being relaxed is always better so lay off too much caffeine (tea, coffee, energy drinks). However, make sure you have a quick source of carbs. This can even be something like haribo or another sweet treat. I am not recommending you eat them every day but something you can easily get inside you that doesn't sit on your stomach will be really handy. Bananas are always your friend, they have a slightly slower release window but will be fantastic over the match period. I can guarantee elite athletes will do the same. Elite level athletes will always aim to maintain a routine (excluding certain superstitions). The more that a match feels like your training sessions, the better you perform. That applies to food as much as anything else. My final point is that you must always stay hydrated. We are all fools for not drinking enough and forgetting to have a bit of water between games. It is so important to keep both your concentration and your performance levels up. Why do you think football teams have water boys? If I have missed anything I am genuinely sorry but, like the last blog, it is impossible to write an exhaustive list. I know Ramon mentioned vegetarians but the general principle shouldn't change. The calories need to suit an active table tennis player (however active that may be) and you need to make sure you have a balance of protein, carbohydrates and fats (at my activity levels I would skew towards a 45% Carbs, 35% Fats, 20% Protein. However, that is for me personally. Protein will usually be about 1g per kg of body weight for an athlete.) I cannot stress enough how important balance is to a diet for an individual who is looking to play competitive sport. I also want to stress the value of routine in competition and how diet should not dominate a person's life. Your table tennis career will not fall to pieces if you eat pizza here and there or a lasagne. Don't make it too specific but keep it healthy and remember to try and get in enough fruit and vegetables along the way. If you need to track your food intake then I will, finally, recommend myfitnesspal.com that should help you decide what is best for you. 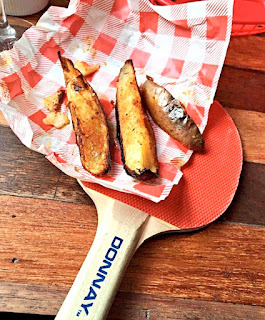 If you want further information or have any questions then please get in touch but hopefully this will serve as a bit of a kick-starter for you to take control of your table tennis eating habits. Wow I can say that this is another great article as expected of this blog.This post is basically easy to look at and see without overlooking any genuine segments. Wow, this article is good, I am going to let know her. This was a wonderful site and I really enjoy it the data you shared. I recently came across your blog and have been reading along. I thought I would leave my first comment. I don't know what to say except that I have enjoyed reading. Nice blog. I will keep visiting this blog very often. I would like to thank you for the efforts you have made in writing this article. I am hoping the same best work from you in the future as well. best game Battle for the Galaxy Break The Cup For boy game online3D PixelsThe articles contain plenty of knowledge and information.They are so awesome. Thanks a million. I wait for next posts. They are pieces of advice for me.